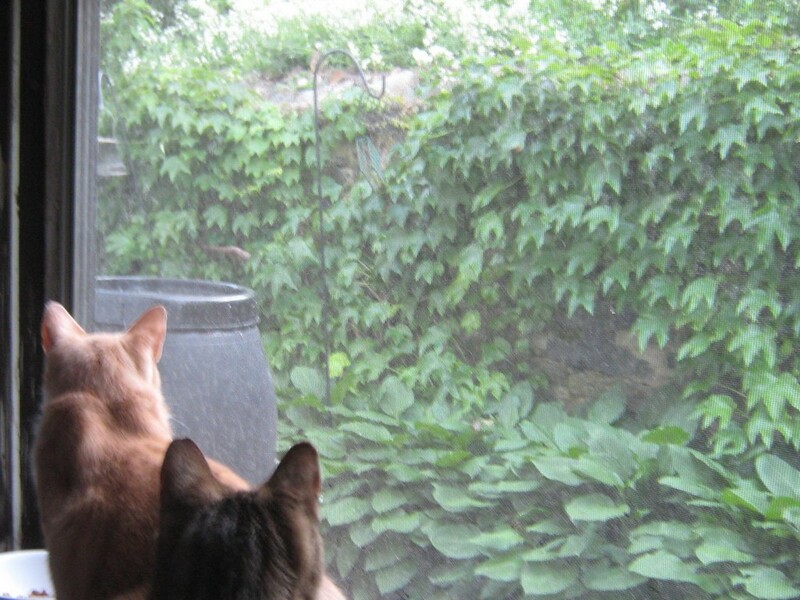 What could the cats be looking at? This bunny has been visiting almost every day (that I’ve seen). It hops along the back wall, munching away. Today it was eating the white flowers of bladder campion. 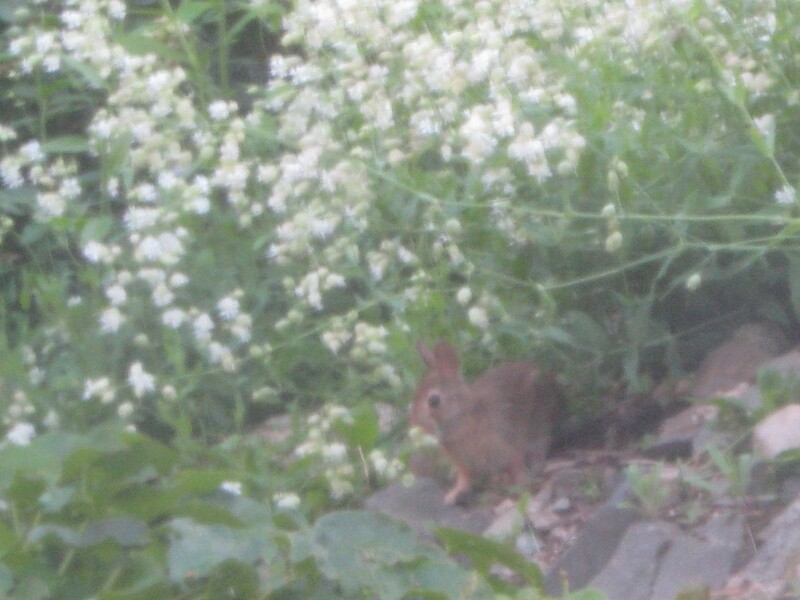 I let it form white drifts along the hill, because it’s a popular flower with the bees, but I wasn’t expecting bunnies!